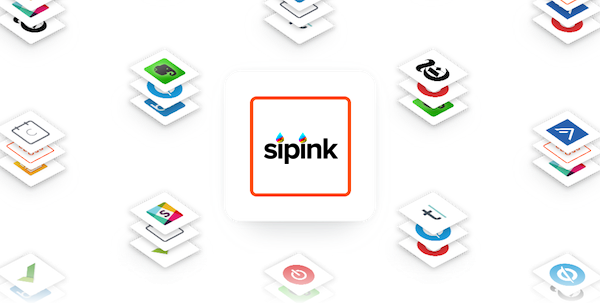 SIPINK now integrates with Zapier. Allowing you to connect SIPINK with your favorite products. • Start a call to your deskphone from any app. Integrations such as these are cumbersome to set up and need effort from developers. Our friends at Zapier provide a simple service that allows you to connect with 500+ products. Zapier also supports push messaging apps. I was able to set up a zap the pulled data from a ringing call, scanned it against salesforce and my emails. After which it sent me a desktop notification re the callers identity, within seconds of me answering my call. I could also have done this during ringing, or at the end of my call even. The granularity of control available to you in Zapier is fantastic. I could mix and match fields to meet my needs. It is such an elegant and easy solution to a problem that had been plaguing me for weeks. This only scratches the surface of what you can do with Zapier and SIPINK, as we roll out more features and zaps such as faxing, new user creation, provisioning and queue control and stastics you can create a custom and unbeatable selling point for your clients, with no programming..
SIPINK is a technology company principally engaged in the design, development, marketing, and sale of communications software. It's main base is cited in Slovakia with employees located globally. SIPINK provides hosted PBX and hosted switch software to telecommunications companies worldwide. If you wish to get an invite link to our new app, just open a chat and we will send one right over to you.